KENOSHA -- Kenosha Police are asking for your help in locating a missing endangered woman. 39-year-old Amanda Hanover's car was found unoccupied near Fisherman's Circle in Kenosha, police say. A phone was found in her vehicle. Hanover was last seen by family members on March 18 in Michigan. She has no know ties to the area. "Hanover is described as 5 foot 4 inches weighing 115 pounds with brown hair that has a distinct red streak, brown eyes and may be wearing glasses. There is no known clothing description at this time," police said in a news release. 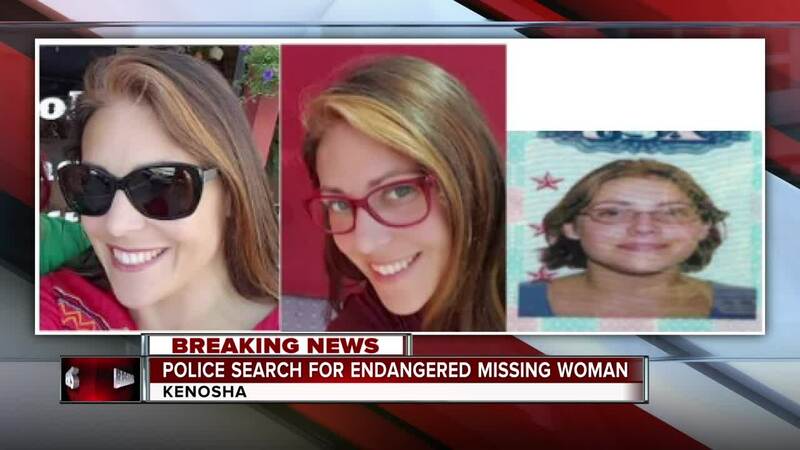 If you have information about Amanda's whereabouts, police ask that you contact the Kenosha Police Department at 262-656-1234 or Detective Alfredson at 262-605-5203. You may remain anonymous if you wish or utilize the Crime Stopper hotline at 262-656-7333.